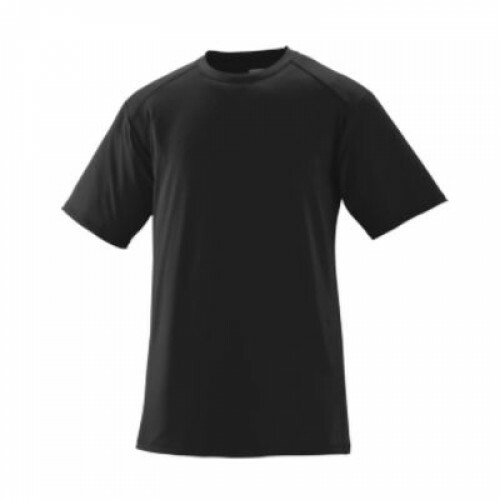 Size chart 92% polyester/8% spandex wicking pinhole mesh. Wicks moisture away from the body. Heat sealed label. Self-fabric collar. Set-in sleeves with shoulder inserts. Double-needle hemmed sleeves and bottom. Also available in Youth, Style 1071. Very Limited Quantities. Please call for availability.